The holidays are over so it's get back on track time for me! 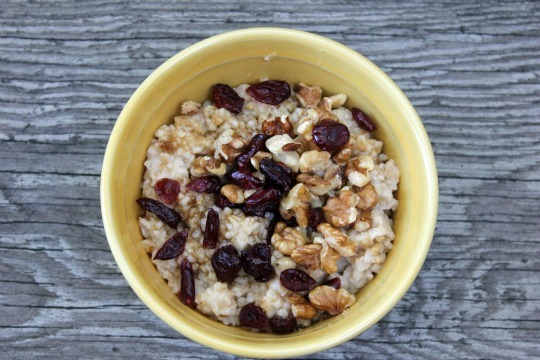 I know you all are probably tired of all of my oatmeal posts, but I LOVE it and this is my little blog, so here ya go.....another oat recipe. Well it's not really a recipe, just a way I prepare Steel Cut oats so that I can have a healthy breakfast each morning in about 3 minutes. You can purchase Steel Cut Oats from most grocery stores. Bob's Red Mill is a good brand. Most of the time I buy it from a bulk food store in our local Farmer's Market. I find it is a lot less expensive there. Bring water and salt to a boil. Add oats and then simmer on low for about 25 minutes or until water is absorbed. Let the oats cool slightly. 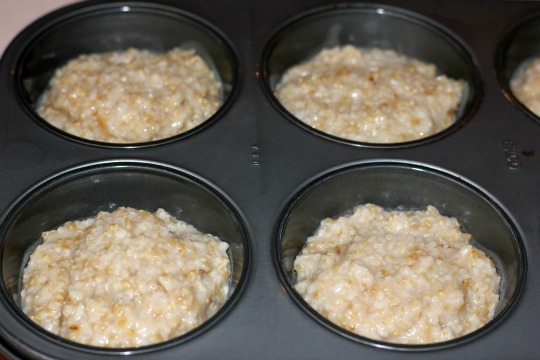 Spoon oats into a muffin pan...mine makes extra large muffins which will yield 5 oat pucks. Place muffin pan into your freezer. You may want to place it on a cookie sheet to keep it level. I leave mine in the freezer overnight to make sure they are frozen solid. ﻿Once they are frozen place about an inch of hot water into your sink. Let the bottom of the muffin pan soak in the water for a couple of minutes. Use a knife around the edge to pop them out of the pan. 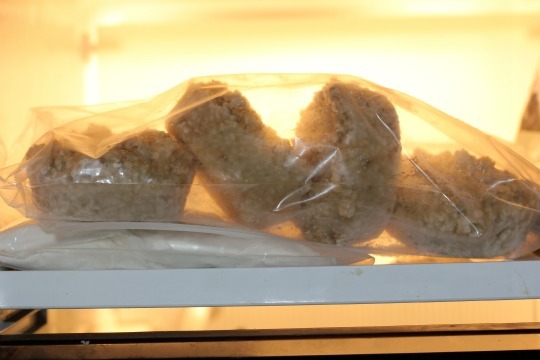 Place frozen pucks in a Ziploc freezer bag to store them and pull one out when you are ready for breakfast. 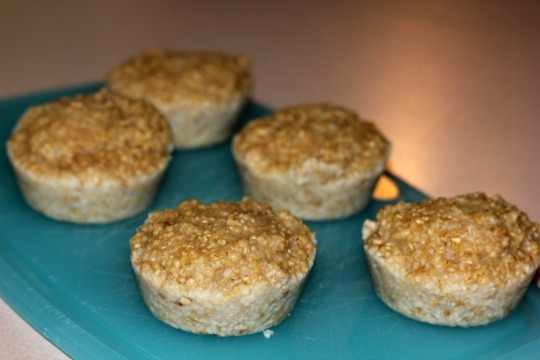 Place frozen oat puck into a microwaveable bowl. Heat for 2 minute﻿s on high. Stir and heat in 30 second increments until heated through. Top with a touch of brown sugar, walnuts, dried cranberries and almond milk or whatever you prefer. I found this idea on New Nostalgia﻿. Ohhh, my. I love this idea of making them ahead and freezing them! This is absolutely FABULOUS and perfect for me ~ Thank you so much for sharing! THANK YOU for this idea! I made some up yesterday and brought the pucks to work! How easy it was to pop in microwave this morning!